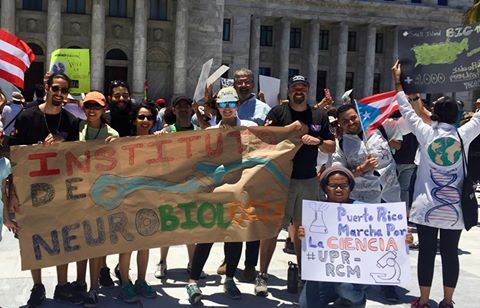 Institute of Neurobiology students, staff, and faculty participated in the March for Science. San Juan, PR; April 22, 2017. ¡Neuro Presente!